What is Alveolar Cleft Surgery? Alveolar cleft surgery is the process of removing a piece of a patient’s bone and then grafting it into the alveolus (the part of the gums that contains the teeth). The bone that is grafted usually comes from the patient’s hip. This procedure is typically performed on children who are ages eight to 11 years because their canine teeth have not yet grown in. 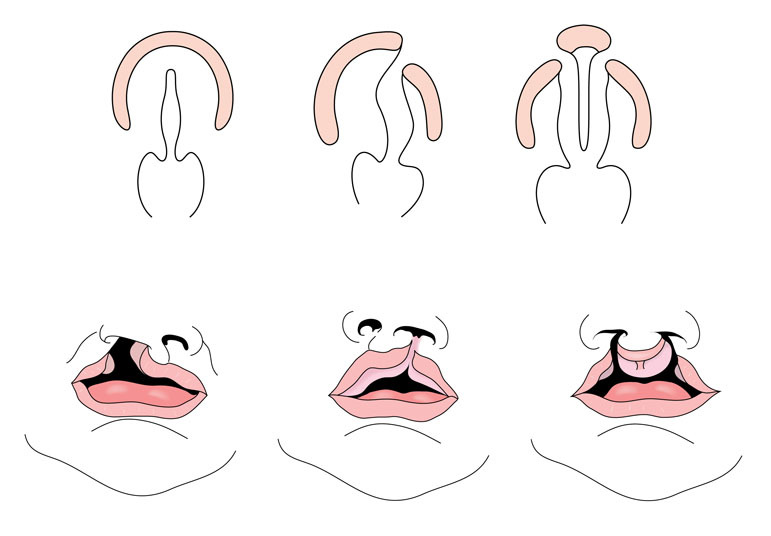 Alveolar cleft surgery is utilized to treat patients who have a cleft palate. There are no comparable non-surgical or surgical alternatives to alveolar cleft surgery. Alveolar cleft surgery is performed under general anesthesia, which means that the patient is asleep and completely unaware during the procedure. Some patients experience complications following alveolar cleft surgery. This can include bleeding, infection, swelling, blood clots, or a negative reaction to the anesthesia that is used. Some patients also experience hip pain following the removal of the piece of bone or experience inhibited growth of the upper jaw. The prognosis for a positive end result after alveolar cleft surgery is good, although some younger patients might have inhibited upper jaw growth. It takes about three to four weeks for a patient to recover form alveolar cleft surgery.